Hey there Top Dreamers! 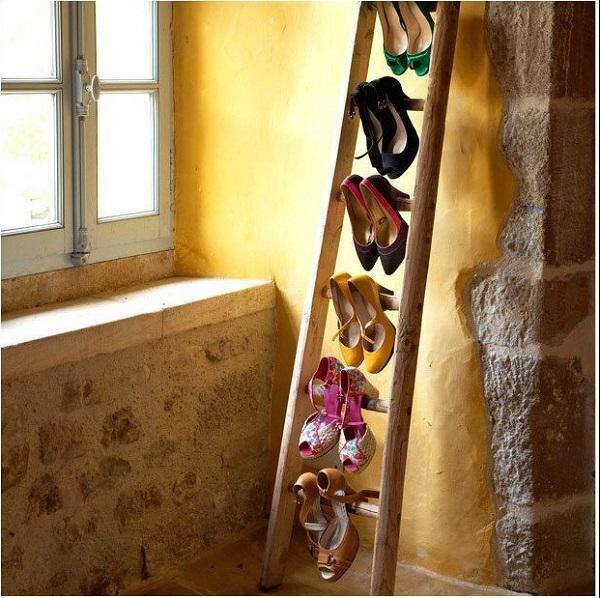 In this article you are going to take a look at some Creative Shoe Storage Ideas That Will Blow Your Mind. 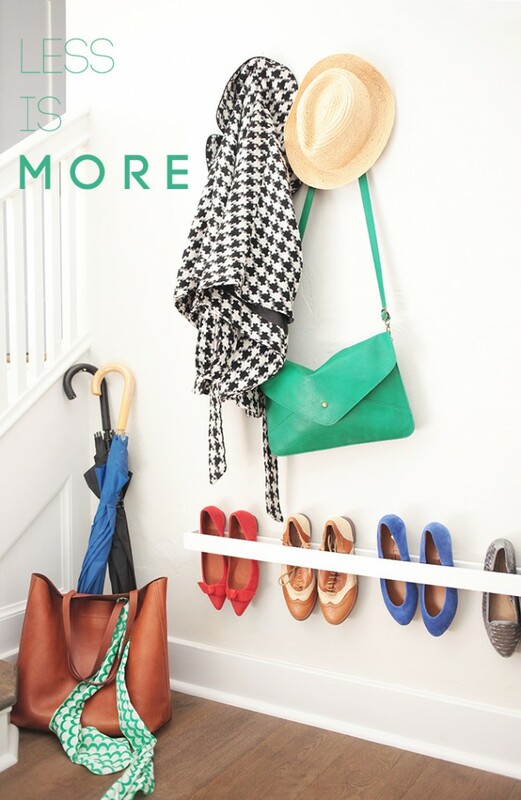 Shoes can create big mess in any home, and we are all looking for practical, functional and good-looking ways to store the shoes, so they don’t make our home look clutter. People will create opinions about you as soon as they walk the entry way, and you probably don’t want the shoe mess to speak bad things about you. How are you taking care of the shoes in your house? 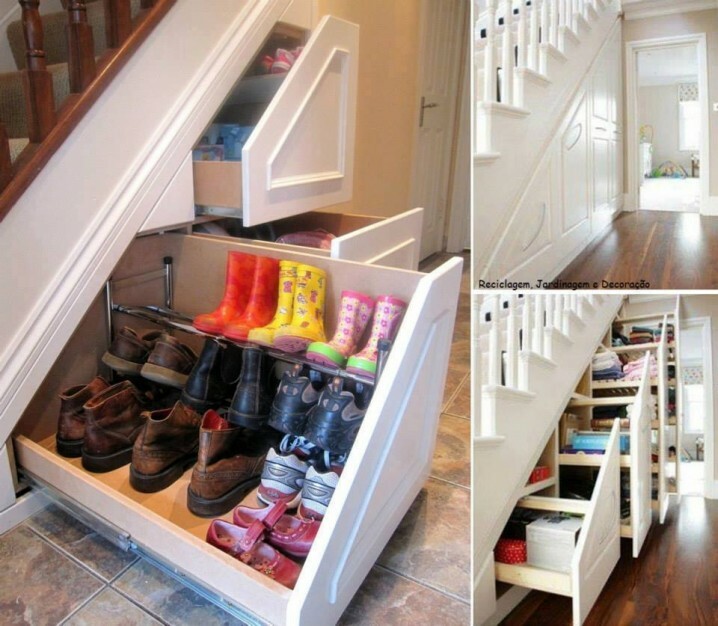 Are you in a desperate need for new shoe storage designs? 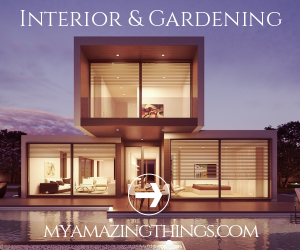 The photos below will give you some ideas, so don’t miss them! The vertical shoe storage ideas are the most popular nowadays since more and more people live in small apartments and they are choosing just space-saving designs that can make their home more spacious. If you are looking for a vertical shoe storage design, we have got several for you. Pick the one that will best fit into your interior! Plus, it’s great that you can make some of them on your own, and they won’t break the bank! 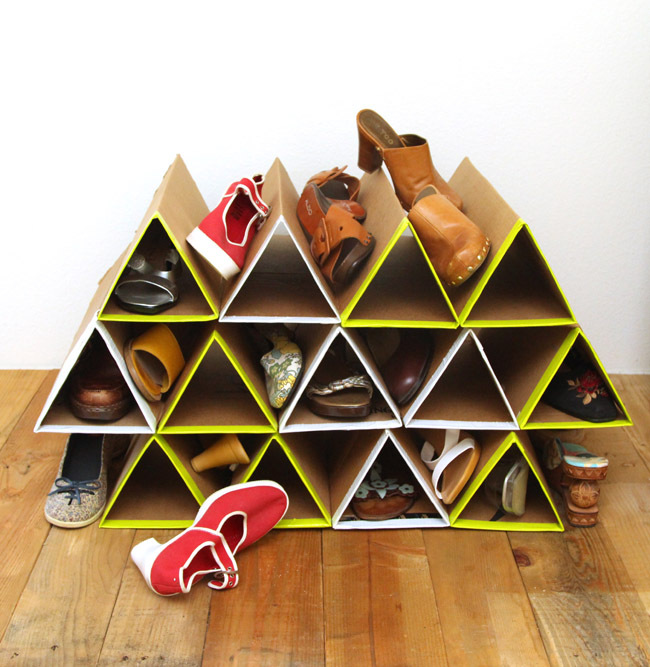 The cardboard shoe rack project is super cheap and doesn’t require much special skills. With this design you can store lots of shoes at small footage and keep them organized. How do you like the idea? In some homes there are plenty of pipes that go through, so make a good use of them by turning them into a shoe storage. Your gorgeous heels can add an interest to the home decor as well. Are you up for adding a feminine touch to the space as well? 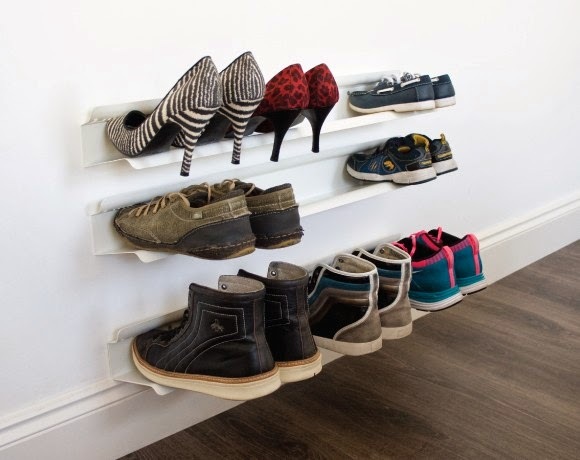 The custom-made shoe shelves are another great idea. You can make them according to the number of shoes you own. You can even use the size and shapes of the shelving units. if you have different types of shoes, maybe this is the best idea for you. 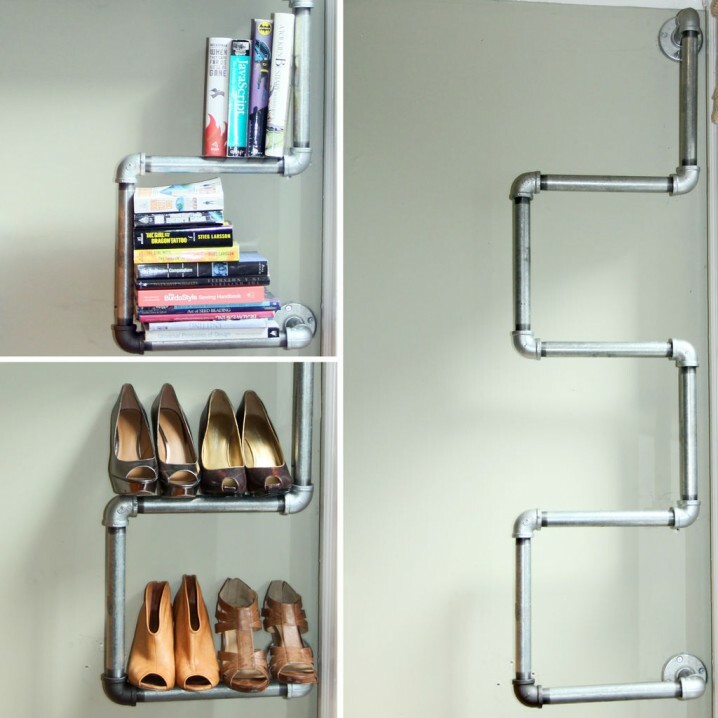 The PVC pipes can be repurposed in so many different ways, and if you wish to use them in a functional way but you don’t have an idea how to do it, we have got the perfect suggestion for you. 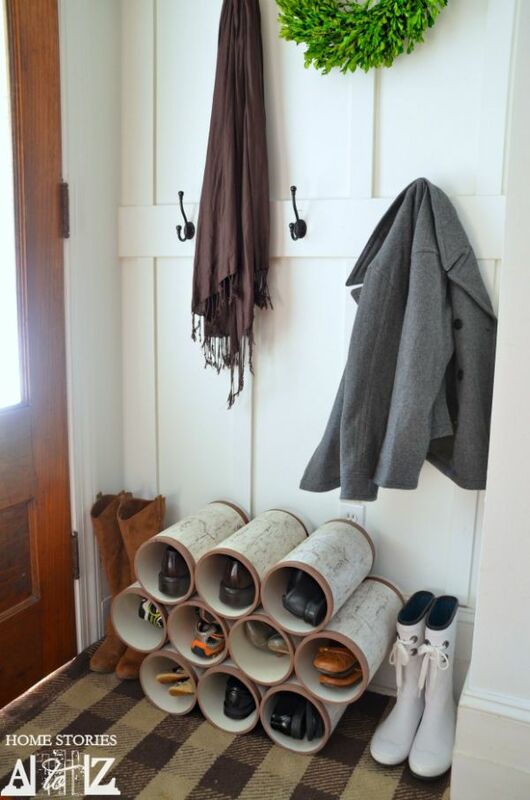 Get several PVC pipes and create a shoe storage rack that will hold your shoes in a neat way. When you buy new shoes, don’t throw away the carton shoe boxes but keep them as storage. Make a photo of the shoes that are in the box and hand them on the box as labels, so you can quickly find the pair you are looking for. 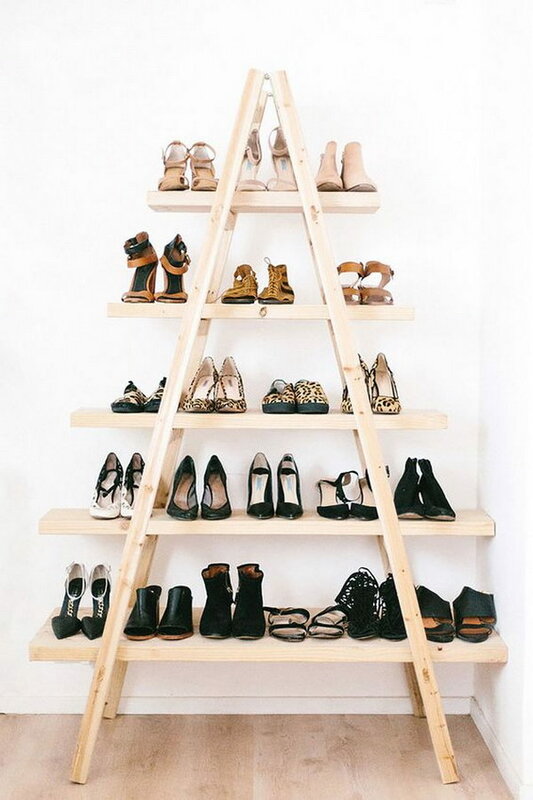 What do you think about storing your shoes on a ladder? Repurpose the ladders and give them new lives! 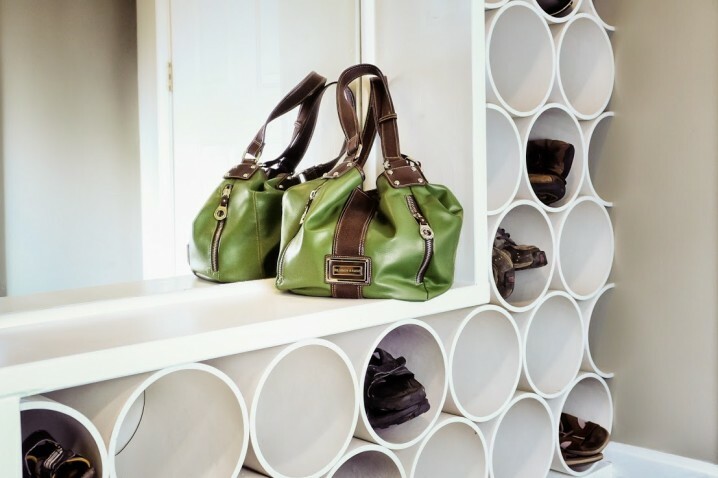 Have you picked the right shoe storage design for your home? Keep me posted in the comments below!